The story of this mare’s life is interesting. 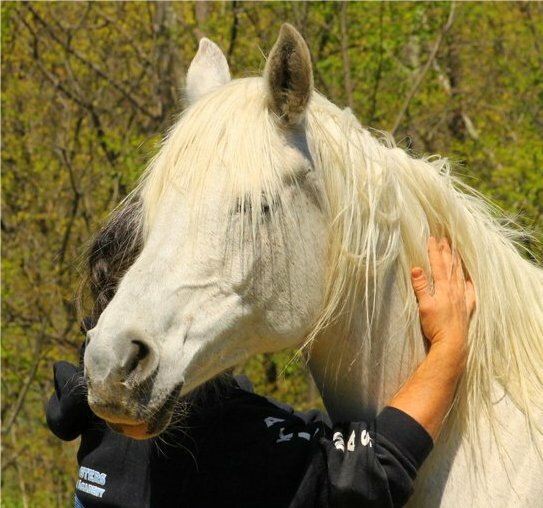 In November 2011 I was contacted by a person that knew I was starting an Arabian stallion and had a small breeding program. Praire’s owner had to move and had only 15 days to find her a home or he was taking her to the New Holland auction. She didn’t want that to happen and begged me to contact him. I did. The owner sent me pictures of her and her last foal and video of her moving in field at will. Praire floated like a dream and I have visions of making her into an endurance horse. He told me he hadn’t ridden her in six years due to an injury he had sustained. I was okay with that as she was 13 and still quite young enough to get back into the swing of working. When I arrived to pick her up, she was standing in about two feet of manure and urine created mud. While she appeared in good weight and had an amazing amount of energy, she was unkempt. Her mane was tangled into thick jerry-curls and she hadn’t been brushed in a long time. She was very curious about me and made every attempt to crawl into my pocket. I was smitten. Her personality was amazingly comical and she was an absolute clown. I had already seen her paperwork and knew that the Rushcreek and Shalimar breeding produces some of the world’s best Arabians with friendly and willing temperaments that excel at endurance. 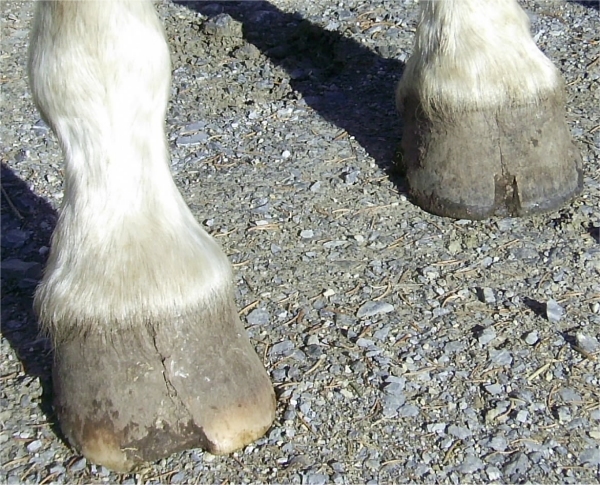 When I brought her up out of the mud to load her on my trailer, I saw that both her front feet were cracked from the coronary band to the ground and had split apart. 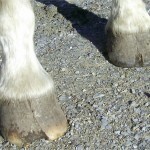 This was many years of farrier neglect. My heart plummeted. Feet like this take a long time to heal and they are never 100% sound. She would not be able to do the very difficult work of competing endurance. I almost refused her at that point but she so trusted me, in such a short period of time, that even though she had not been on a trailer since she was four years old, she climbed right into the trailer with me, begging to be petted. I chided myself, but brought her home anyway. She quickly won my heart but not the heart of my friend where I keep my horses. Of all the horses on the property, she became my favorite. Always into things, always in your face, always the first one begging for a pet or a treat. I could stand for hours in the pasture grooming her and she wouldn’t move an inch. Things in my life are changed (as you all know) and although Praire is my favorite, she is definitely not my friend’s favorite and it is her home where I keep my horses. I had to make some decisions about which horses to keep and which ones to let go into another home so that I had a small enough herd to take care of without burdening me or my friend. 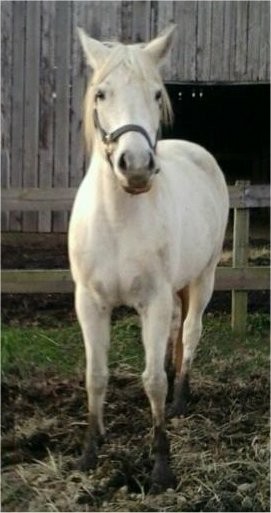 As Praire was not ridable for my sport, she was not going to be useful in my life and I thought putting her into a home that would appreciate her as a broodmare (she has a to-die-for pedigree and conformation) would be the best decision I could make for everyone. In September 2012 I found that home! The woman was ecstatic to have Praire as a broodmare, and was way excited to be having a foal out of Shrapnel in February 2013. I was happy that someone would give her the time and attention she deserved. Praire left me to her new home. I was sad, and I certainly missed her silly self following me all over the pasture. Her filly was born on February 3, 2013. 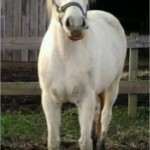 The woman contacted us with a blurry picture and let us know that everything went well and the filly was healthy. I was truly hoping for more photos, less blurry, so I could see what kind of filly Shrapnel had produced. I didn’t hear from the owner again. On February 10, 2013 I woke up and logged into Facebook. Within minutes, I was notified that Praire and her 6 day old filly had been surrendered to a rescue. The phone lines burned as I searched for Praire to find her and get her back home. Several of my good friends got involved and within two hours we found her. I hopped into my rig and drove out to Lancaster to get her and the filly. They are now safely back in my barn. Whew. 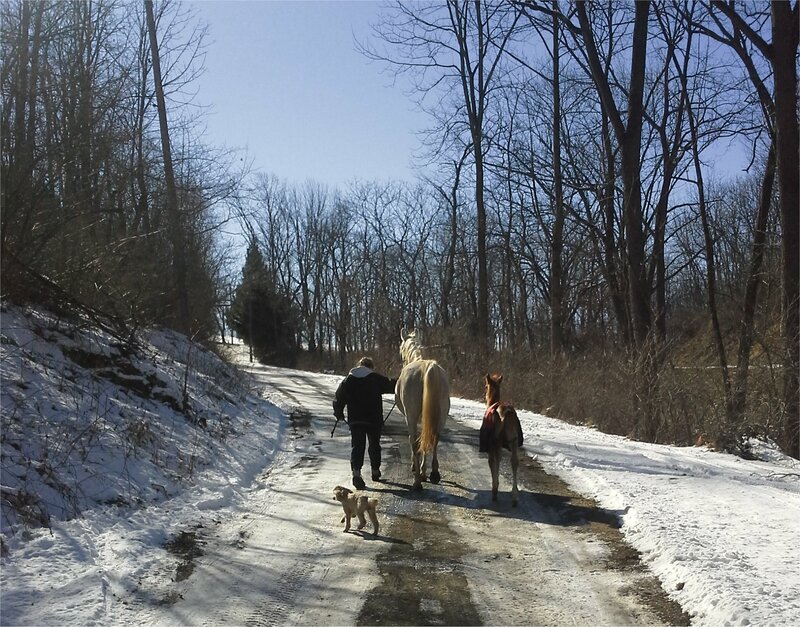 Praire was bred back to Shrapnel for a 2014 foal – he is here! His name is Grenadier NPF. 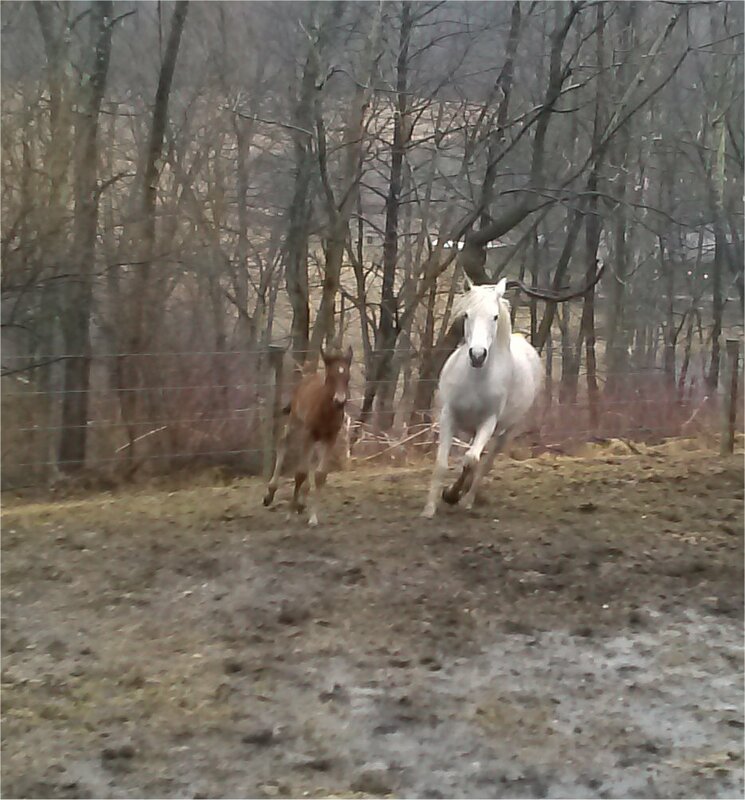 Her 2013 foal, Bouncing Betty NPF was sold into an endurance home. Praire and 2014 colt, Grenadier…age 4 days old. 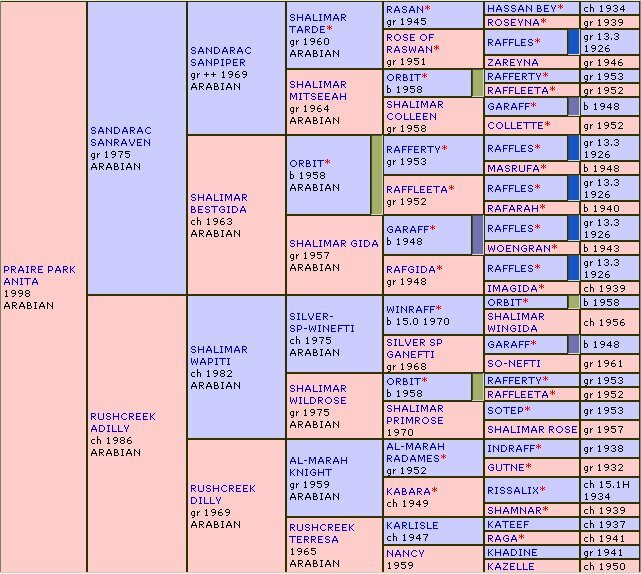 Praire’s last foal was a breeding to a beautiful Arabian stallion, Suirasikeb, a son of Klint Black ++. Grasshopper is correct in every way and had good strong bone. She should make an excellent endurance horse. Click her name to see her webpage. Praire is now retired on a beautiful farm and shares acres of pasture with a mule, Amos and a donkey, Scooter.